Having access to high-quality composted soil can be the difference between a good garden and a great garden. Compost is filled with nutrients and will not only help your plants thrive but it also may mean more nutrient-packed fruits and veggies. Making your own compost requires a bit of practice but it doesn’t have to mean spending big bucks on a fancy machine. Create your own compost bin at home and have access to the nutrients your plants need all year long. For compost to break down appropriately, proper airflow and drainage is essential. 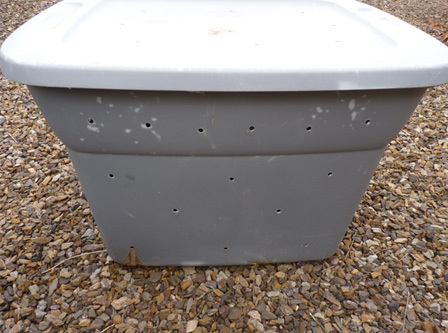 You’ll need to drill several holes in your bin, including on the bottom, sides and even in the lid. 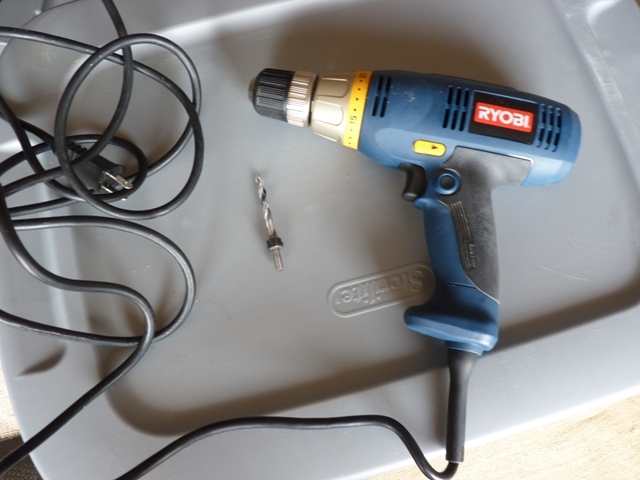 Once you’ve finished drilling your holes, you’re ready to start filling it up. Vegetable or fruit scraps like peels, cores and skin. You can also throw in produce that has passed its prime. Paper shreds or newspaper: This is particularly helpful if your bin gets too wet. The paper will help absorb some of the moisture. Yard waste: Fresh waste, like grass clippings or dried waste. Avoid putting weeds in your bin, as it probably won’t get hot enough to kill the seeds and you could create a weed problem for yourself wherever you use the compost. Never include: Animal products, including meat or dairy. Also avoid any waste that has been sprayed with pesticides, weed killer or herbicides. Using organic produce scraps is best. A successful compost bin isn’t as simple as throwing stuff in and letting it sit. For your ingredients to break down properly (rather than simply rot) you’ll need a good ratio of fresh or “green” ingredients to dry or “brown” ingredients. The two basic components in your compost bin that break down the ingredients into compost are carbon and nitrogen. An ideal ratio for the material is 25 parts carbon to 1 part nitrogen. A bin with too much carbon will decompose more slowly, while a bin with too much nitrogen will produce bad-smelling compost. Proper compost should be relatively free of odor. Generally speaking, most green matter is high in nitrogen, while most brown matter is high in carbon. Most green material also contains carbon, so when building your bin, using 2 parts green material to 1 part brown material will give you your best chance of a successful compost bin. Experiment until you get the results you desire. When you buy a bin from a home or garden store it will likely be a round bin on a stand that includes a crank. This is because mixing the ingredients often is crucial to helping them decompose properly. This is one of the biggest issues with homemade bins. Be sure to only fill your bin halfway so that it doesn’t get too heavy to mix. The easiest method is to simply pick it up and shake it or pick up one side and rock it back and forth. If the bin does become too heavy, you can use a shovel to stir the mixture. The bin should be mixed several times a week, if not daily. When you fill a bin with food scraps, it will attract bugs. Certain bugs are crucial to helping your pile break down. If you are filling your bin with the right amount of materials it should be breaking down in a way that it won’t attract bugs like houseflies or cockroaches. However, prepare yourself for that possibility and keep your bin as far away from your house as possible. Fruit flies are likely to be the biggest pest, and it’s hard to prevent them except by covering all fruit scraps with other materials. You can also set a glass of apple cider vinegar and water near the bin, which will attract many of the flies. It may take a few weeks for you to get the hang of composting and creating the right mix to break it down properly. Be patient and keep trying. It is nearly impossible to ruin compost; it will likely just take longer to decompose. However, when you do master your bin, not only will you have a lot less waste to throw in the trash but you’ll also have a great source of nutrients for your garden.